Great news! Wine Ten Questions has a new sponsor and over two thousand subscribers. Wine Australia like what we are doing and have come on board as a sponsor. We are extremely appreciative of the support from all our sponsors. The sponsorships mean that the site will be able to be truly representative of the national wine industry with occasional forays overseas. 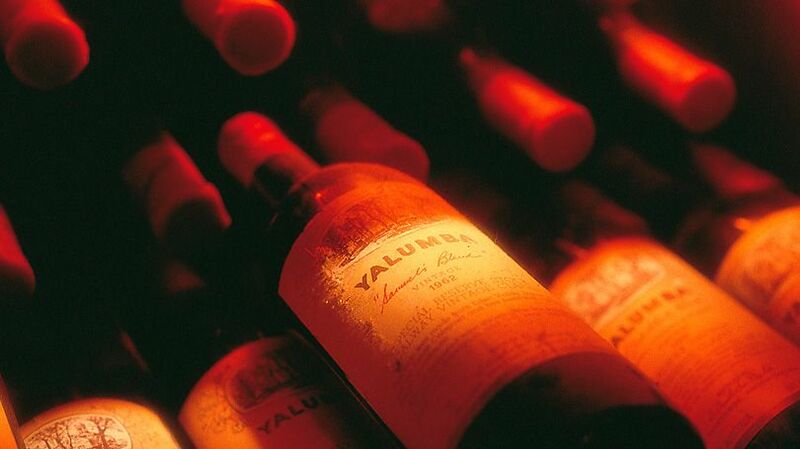 Yalumba is acknowledged as Australia’s oldest family winery. It’s chair, Robert Hill Smith is the fifth generation of the family and has been a driving force in the company since he took on the managing director role 30 years ago. 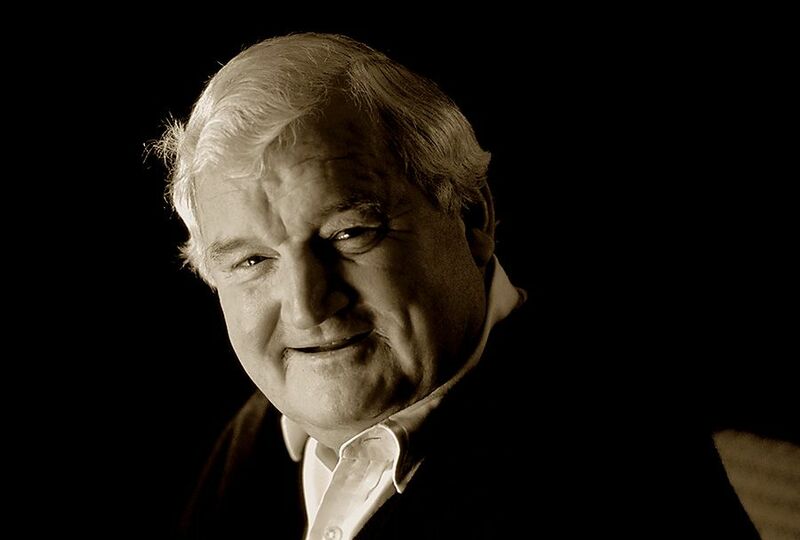 Robert has been in the wine news lately in his role as Chair of Australia’s First Families of Wine (AFFW). AFFW was created about ten years ago to champion some of the oldest and most respected wine brands in the country, who to this day remain in family ownership. 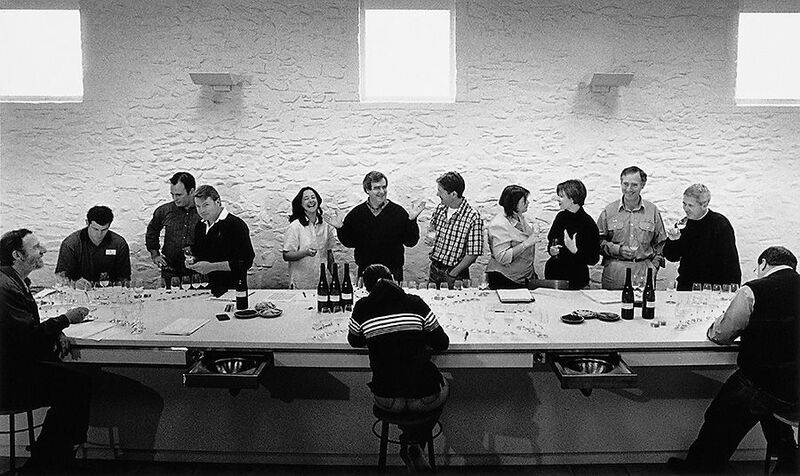 I have been photographing the Yalumba Winemakers Classification tasting since this, the first one in 2001 with Brian Walsh conducting. Photo : Milton Wordley. I have taken photographs for the Yalumba company for many years and its been a joy to work for this family business. Robert’s interview is well worth a read. Family wine businesses are in the news. 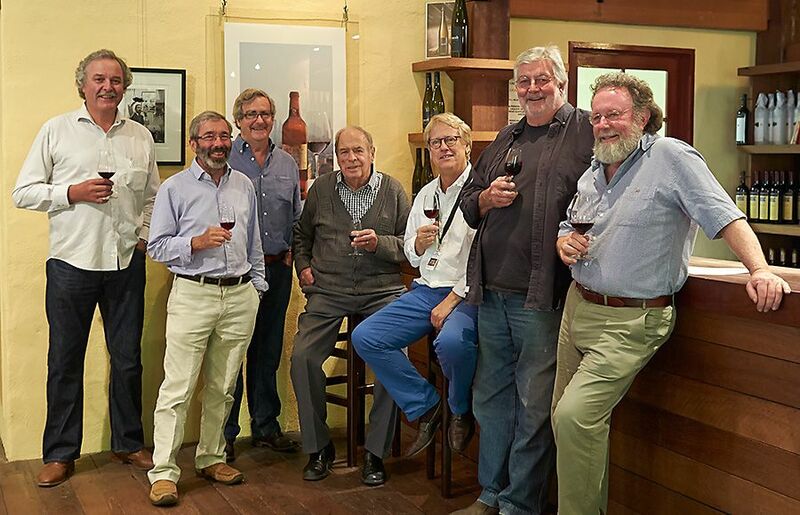 What’s the history of the Yalumba family wine business ? Our family business is the oldest family owned winery in Australia. The first [Hill] Smiths started the family farm – that was Samuel, my great, great grandfather who left Wareham, Dorset in 1847 at age 35 with his wife Mary and their four children. 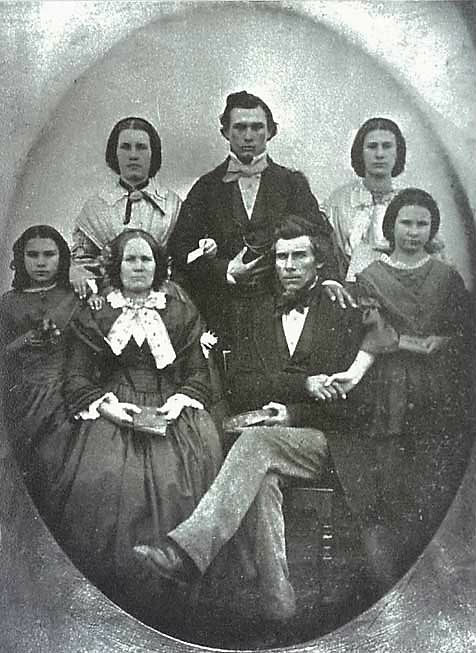 Yalumba founder Samuel Smith (seated) with his family c1856 (back l-r) Elizabeth, Sidney & Martha and (front l-r) Miriam, Mary, Samuel & Mary-Jane: Photo supplied by Yalumba. 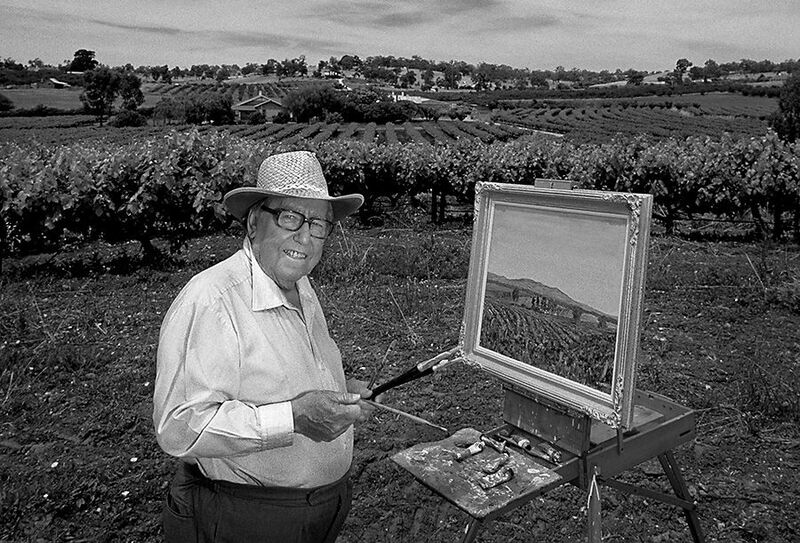 He settled in Angaston in the Barossa Valley. Samuel worked for George Fife Angas across the road at Lindsay Park as a gardener, and even though he was a master brewer, that was his only job. He leased the property from Angas and had planted some vines and made wine in 1849. He then went to Bendigo and found gold, came back to the Barossa and bought the land off Angas in 1853. 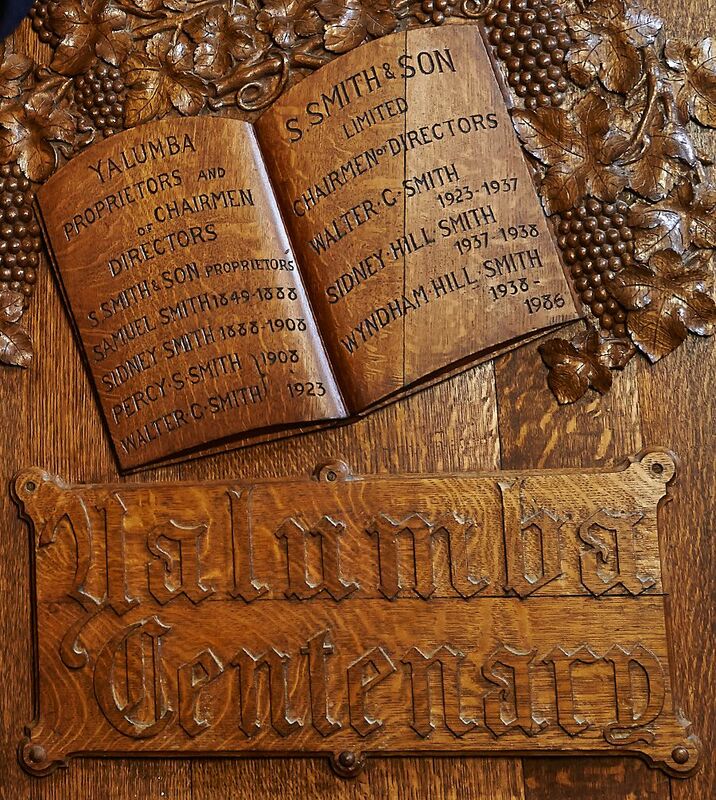 Yalumba was really a mixed farm that focussed on winemaking – but if you look at our history you can see that the fruit orchards of Angaston region and our own orchards kept us afloat during the depression of the 20s and 30s. 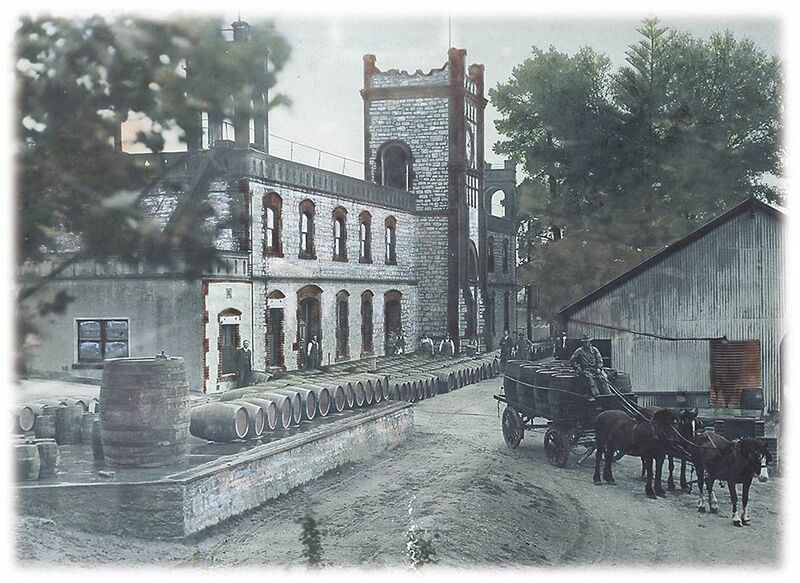 At Yalumba we had a canning shed and Trescowthick’s dried fruit sheds were next door which we now own. 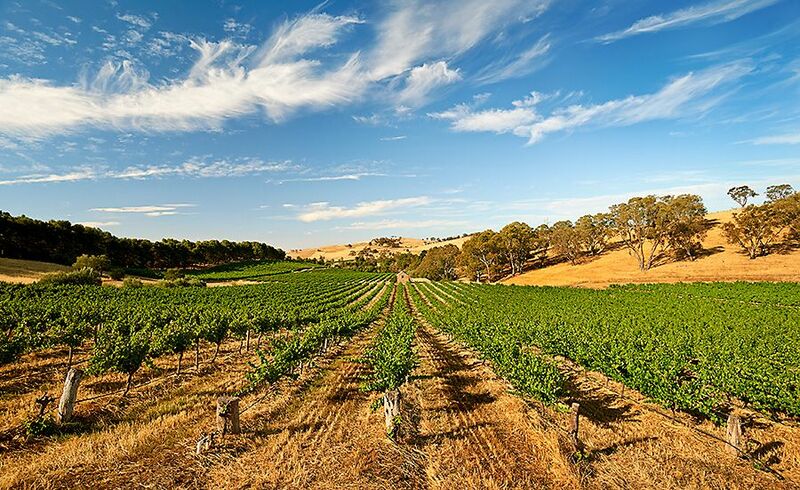 The Barossa region was initially as well known for its fruit quality, both dried, fresh and glace as it was for its wine. During the depression, members of the British Empire were given a duty break on product for the rest of the world, due to the Empire preference. It was a protectionist tariff thing which gave Australia preferential treatment when we shipped wine to colonial outposts such India, Kenya, Hong Kong or Malaysia-anywhere the Brits had a colonial seat. Up until I took over as the boss in 1985, when I was 34, Yalumba had stud jersey cows, orchards, goats,clydesdales, a few sheep , thoroughbred horses and vegie gardens. We were really a sustainable farm. At one point we had 5 families living at Yalumba – at different parts of the property . We were a wine farm. Now we have thoroughbred horses, vegetable gardens, an orchard and vineyards. We have now gone back into replanting the orchard with new apple and pear clones, so everything has gone full circle. Horse and Dray loading at Yalumba circa 1925. Photo supplied by Yalumba. 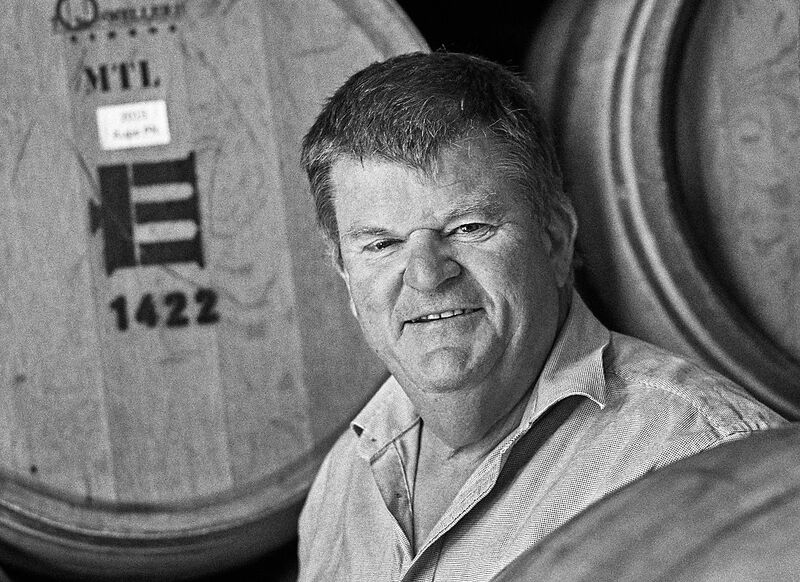 We’ve got the Trevallie brand bought from the Ellis family about 10 years ago, for dried and fresh fruit, mainly sold throughout the Barossa so we’re back in that game which is virtuous and financially silly. What’s the back label of the name Yalumba ? Yalumba is taken from an Aboriginal word ; it means ‘all the country around’ er ‘all the land about’. That was done by Samuel Smith back in the mid 19th century when he recognised the indigenous tribes of the area who were all, at this stage, rather scattered and low key in terms of their presence. There was an Aboriginal culture – that was the Peramangk. Interesting that a very staunchly religious, English migrant, free settler from Dorset would give the name of his property, an Aboriginal name… and its a weird name, really if you think about it. I often think that if you went to an advertising or wordsmithing company that developed brands, you would never get that….. but thats what we do – its a wine farm. What was your early life like and did you ever consider a career in another field ? Well I did because I didn’t want to be predictable… I was the normal 15 year old rebel, I thought I was going to be a league footballer playing for South Adelaide or a Test cricketer ! People often asked me what I was going to do. I wasn’t keen on the family tradition because that’s what everyone expected me to do. Its funny I’m talking to you because I was very interested in photography. I always loved photography as an art form – I had my own dark room here at home in the cellar and ran the dark room at boarding school. I did get to the point where I enlisted to become a cadet sports photo-journalist at the Advertiser. I got close, but in the end I don’t think they thought I was serious enough. So I sort of yielded – and I did a gap year and applied for Roseworthy. I didn’t realise that even though it was originally started for children of winemakers, first slots in the quota system were given to Ag Science graduates and in the year I wanted to start, the quota was filled by them. The alternative was for me to do Ag Science, but I had just come off of a year where I was highly allergic to dust and grasses so going through 3 years of asthma in order to do wine making seemed bloody stupid. So my old man said, ‘What about Stellenbosch?’; you know that was a hairy time in South Africa. I was doing vintage here, working in the cellar half a day and laboratory half a day and 6months on I asked Dad, ‘What’s happened to Stellenbosch ? – and he said, ‘Didn’t I tell you – its all in Afrikaans’. Wyndham Hill -Smith an accomplished artist. Photo : Milton Wordley. So that went out the gate !! It was looking too difficult to study wine making, wine production and marketing hadn’t started at that stage as an alternative at Roseworthy; Croser hadn’t yet kicked off Wagga Oenology Degree in Applied Science. So I was pretty hamstrung. I ended up doing a Bachelor in Business majoring in Marketing. We agreed that if I could learn how to run a business, and decided to go into the wine game, Yalumba might have some use for me. I’d always lived here on the property, bar a few years at boarding school so unknowingly it was in my blood. Once I had done vintage I loved it so much; I was a dirty little cellar rat, picked grapes, chucked grapes off into the crushers and was throwing out wet skins from open fermenters…enjoying the people…. I never looked back. 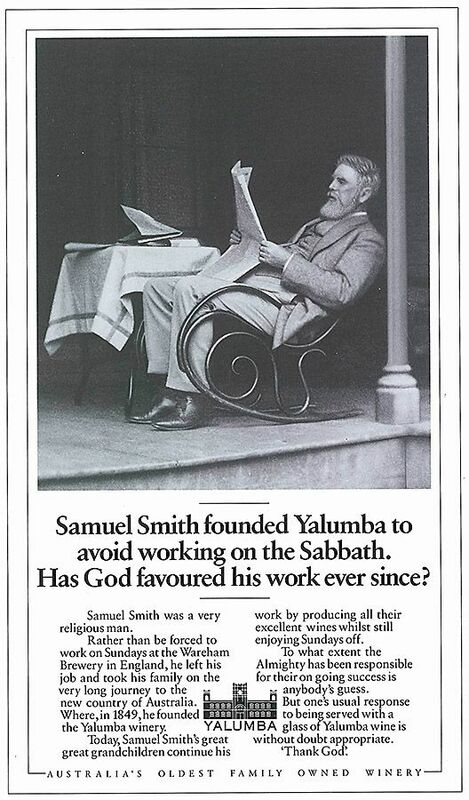 I’m currently the Yalumba Chairman. Last year after 30 years as Managing Director, I handed the reins over to Nick Waterman. Nick’s been with us for almost 15 years, he’s the first non-family member to run the company. 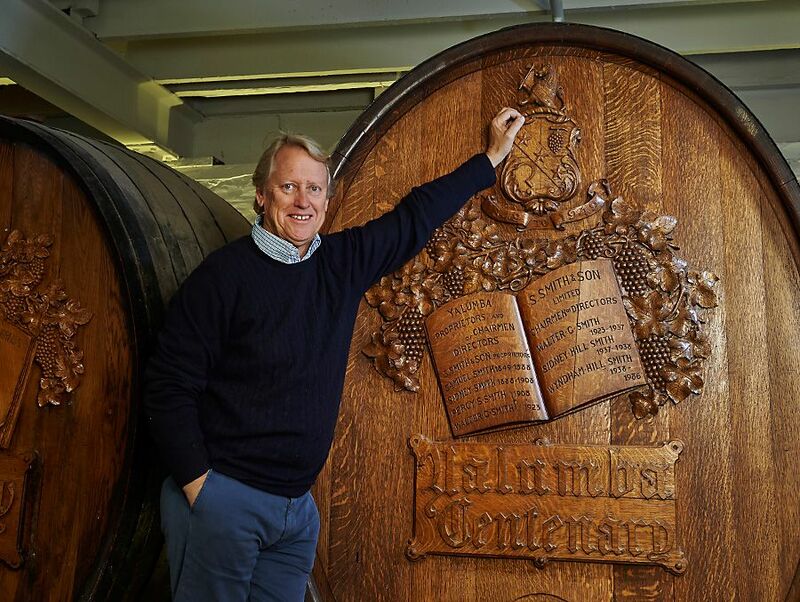 Robert with the Yalumba Centenary Barrel. Photo : Milton Wordley. I’m still here in my winery office, most days, but I try to keep out of the way. However the only real way is to be away ! Close up on the Yalumba Centenary Barrel. Photo : Milton Wordley. Last year I was away in Europe doing some work of course, but giving the new team some free space and get their confidence in their ability to get on with it. They are all talented people – they didn’t need me looking over their shoulder. I’m also Chair of Australia’s First Families of Wine, and on the Board of the Winemakers Federation of Australia, and I’ve just been appointed as Vice President of the SA Cricket Association.Its not dull. How did the ‘First Families of Wine’ collective come about ? It had two iterations – the first didn’t go anywhere. Late in the 90s, I talked to Ross Brown and Chris Hancock at Rosemount. I said, ‘I reckon there’s an opportunity for Australia to portray its story differently – through a family lens – rather than a national lens.’ You know France had their PFV, Premium Familia Vini which has12 prestigious family houses of Europe, many of whom we work with today. We had a very short chat about it but it didn’t go anywhere. Then in 06 /07 there must have been a wine expo somewhere in Australia and Mitchell Taylor and Al Purbrick rang me and said we should have a chat about putting an Australian family wine story on to the world stage. Because for all the success that Australia had enjoyed, it looked internationally as if we had been corporatised. In about 07 and 08, we had a chat in Al Purbrick’s apartment in Melbourne with Mitchell, Ross Brown and myself. We drafted a Charter of what it should look like, what it should seek to achieve and what the qualifications for invitation should be. One of them was first and foremost, multi generational family ownership, it wasn’t to do with prestige or quality; second, the possibility of a vertical presentation of an iconic wine, like Tyrrells’ Vat 1 or Tahbilk’s Marsanne over at least 10 years; and third was membership of our peak body. Tyrrell’s Vat 1 Hunter Semillon. Membership of the Winemakers Federation is voluntary and in association with this, we thought it was important for the winery to have voluntarily represented industry on industry boards over a period of time. It wasn’t like lets pick someone from a region who has a famous name , and who hasn’t done anything for the industry, but who has done a lot for themselves. We wanted it to be regionally diverse, we wanted it to be interesting; it was all about bringing colour soul and personality to the Australian wine story through a family member, under the banner of what we ultimately called Australia’s First Family of Wines. So that’s how it happened, we launched it at the Opera House in 09 and it was about saying, here is a new promotional vehicle that would work together with everyone else to promote the quality, diversity, personality, provenance and authenticity of Australian wine – at their own cost. No subsidies, no grants, even though we’ll take them if they are offered,but using our own dough to take our story to select markets of the world. The landing spot was 12 wineries. Since 09 that 12 have invested well over $3 million into their story – not including airfares or accommodation – that’s just membership, co-ordination and investment in the story telling – making things happen. Have there been any benefits of the group you didn’t think of ? The family stories through the characters we’ve got around the table, when we present collaboratively, really resonate because everybody is different. You know Col Campbell is a different bird to Peter Barry who is a different bird to me. You get that diversity of personality apart from diversity of story as well as diversity of regional wine styles that you showcase. The other massively important benefit that has emerged is that it has brought the next generation closer to the current one..quite a number of kids who hadn’t made up their mind about what they wanted to do with their lives, have now decided to join their families in the wine business. Where it takes them is not prescriptive. 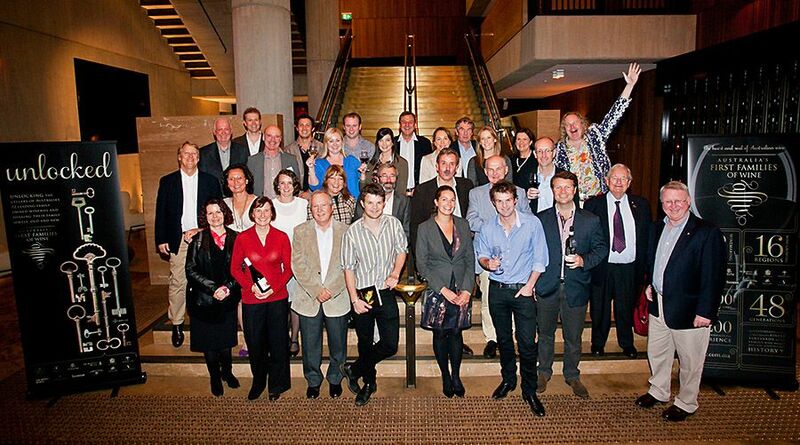 Australia’s First families of Wine at the ‘Unlocked’ Event : Photo supplied by AFFW. 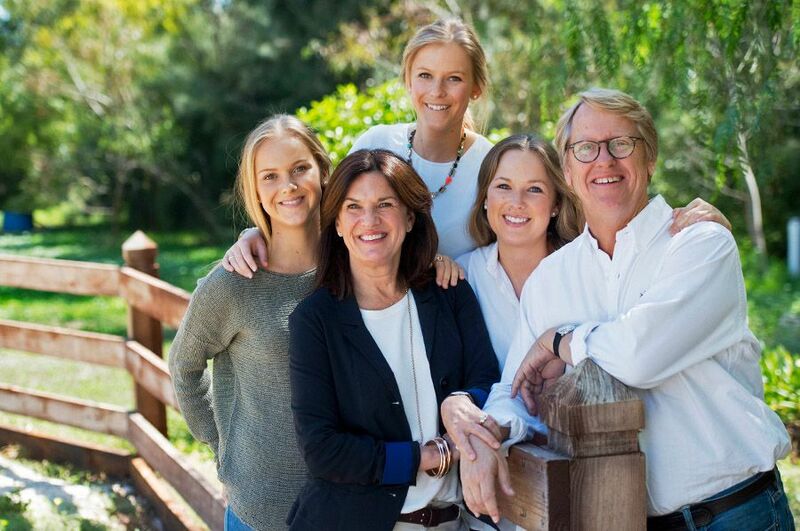 My children are outside of the family business now, but through the next generation group that we have formed, they have all become very close, motivated and emotionally connected to the wine industry. What we are planning now is for our next generation to travel to New Zealand to meet the next generation of their F12. We want to link their youth with our youth and let them establish a network of trust and fraternity across the ditch. The thing I love is that when we do travel together not only do we enjoy each other’s company but we have a very open and trusting fraternalism. Robert and his family. L-R Georgia, Annabel, Jess, Lucy at home in the Barossa. Photo © Peter Fisher. I think we are good as a group as entertainers – it’s not scripted at all. So when we get in front of a Liquor Board in Canada or a connoisieur group in Montreal for the first time, it really resonates. Together with support that we have paid Wine Australia for – we’re aligning ourselves to their strategy. Where they see opportunities to use us, we’ll collaborate and go in and invest. In Canada, I think we have made a difference; we’re trusted and we deliver beyond their expectations not only in quality and story – but in theatre and service. I think its been very good for the Australian category. Do you have a favourite wine ? I love Pinot Noir, that’s also a bit of a crusade for us down in Tassie. I’m a Pinotphile and my wife Annabel loves it – but we’re diverse-we drink everything !. We drink a lot of Riesling – we love aged Riesling. Pewsey Vale Contours vineyard. Photo : Milton Wordley. I’m a Pewsey Contours lover, I love the Riesling we’ve made in Tassie off a vineyard we bought called Parish Vineyard – at Coal River – it’s a ripper, I love the Tasmanian style versus the mainland style. It’s got a really different framework and aromatic. ‘The Signature 1962′. The Yalumba Cabernet Sauvignon & Shiraz blend. Photo : Milton Wordley. I drink a lot of The Signature but also Grenache. It’s very regional, the truth is it doesn’t have much traction with drinkers on the east coast of Australia, but it’s very much supported where it is grown rather than anywhere else. I was in the Wellington Hotel in North Adelaide on Sunday and I saw a punter come up to the bar and buy a Yalumba Old Bush Vine Grenache. It was the first time I’d ever seen it happen… so I went over later and asked them why they bought it and whether they were enjoying it. I like it as a style and I respect what people are doing to look after the vines now. What’s your sense of regionality in the Australian wine business at the moment ? It’s respecting the vineyards and crafting wine that really does tell a story rather than to homogenise it. Dalrymple Estate, Tasmania. Photo supplied by Yalumba. That’s a bit of a crusade for me, accepting what Mother Nature delivers rather than trying to dictate what we wish were good at. We’ve gone through this evolution from imposing fashion trends on our viticultural landscape, to accepting the terroir that we’ve got and working with it, making a story that is authentic and sustainable. We’re doing that in trying to establish a fine wine portfolio which matches what each region is going to be best at. Thats why we have Dalrymple Pinot Noir in Tasmania, Jansz Sparkling in Tasmania, Pewsey Vale and only Riesling in Eden Valley . Terroir based, like our Tri-Centenary Grenache from single vineyards and our multi vineyard Yalumba Old Bush Vine Grenache. When many people think of Australian wine they think Barossa. How do you think that has evolved ? It surprises me as much as it surprises you . 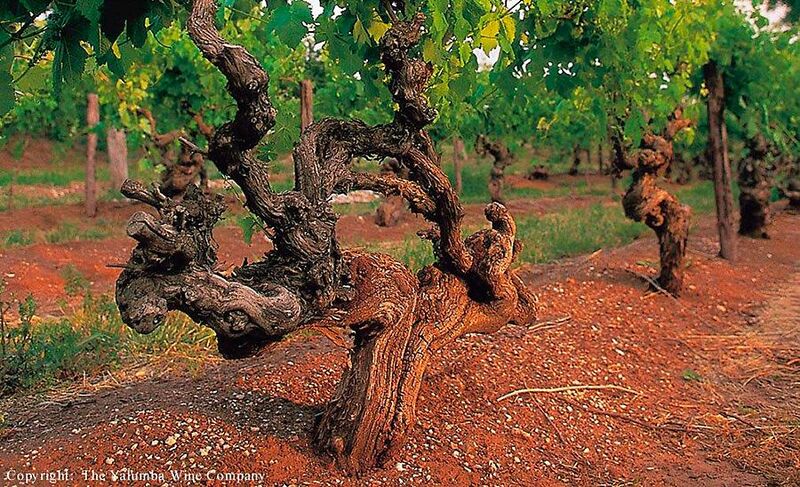 It’s not the oldest part of Australian wine history and its had its challenges. The region goes back to fortifieds – it didn’t have a reputation for grenache or shiraz, you know dry reds back in the 1850s, 60s and 70s. Barossa Group L-R : Rick Burge, Stephen Henschke, Brian Walsh, Peter Lehmann, Robert Hill Smith. Big Bob McLean and Robert O’Callaghan. Photo : Milton Wordley. It’s a bit agri grounded like Burgundy. I can only put it down to the fact that in terms of Australian history its been here for a long time. 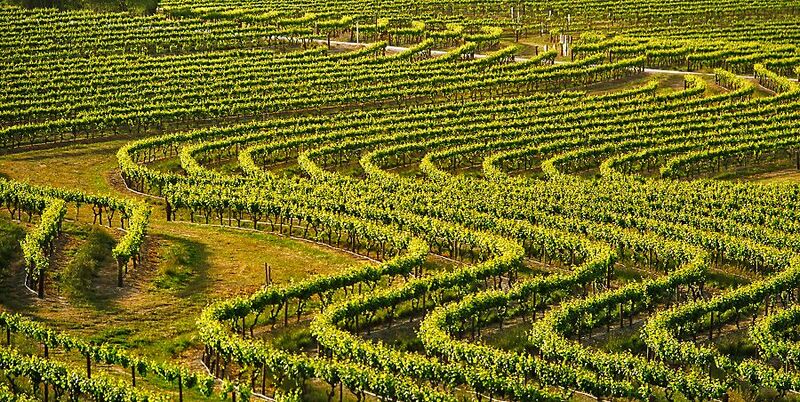 Australian wine history is very agricultural in a sense that up until recently its been pretty much a small format vineyard and proprietary region . 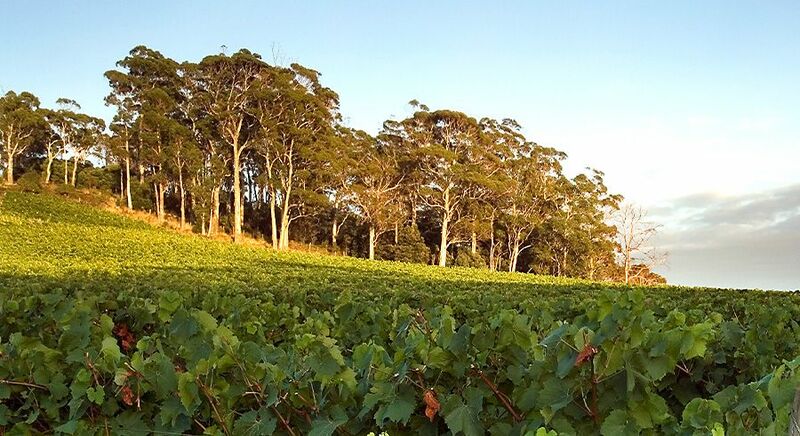 There are multi-generational, small format vineyards in the Barossa run by those families. That’s been very much part of what we call the Barossa wine community. Anyone who has been here from outside South Australia, remarks on the very strong community culture that is here. There is a lot of piss taking but on the other hand a lot of warmth and cross collaboration. All of the characters we have generated who worked the world scene over the time have been great ambassadors and I think people in the Barossa really welcome you into their homes . I can’t say its unique, it’s not so much the quality of the wine but the other things that have given Barossa its reputation. A sense of generosity, warmth and community that have resonated across the world. Lehmann used to say that it was unique in that you can make great fortifieds, great riesling, great shiraz; where riesling works along side of grenache, with Eden valley next to Barossa floor – it defies logic –in European thinking. The Rozenzweig Block at the back of Angaston. Photo : Milton Wordley. What about the younger generation emerging in the Barossa ? There’s always been a younger generation but they haven’t necessarily been from the vineyard space. Typically they have been recruited into the Barossa as viticulturists or wine makers from outside or they have been wine maker families that have had their kids come into the business. That’s what is happening and I think its terrific – they seem to collaborate and have fun together and that adds spirit-another tier to what we’ve got as a regional offer. There have always been people who have influenced me from different avenues and for different reasons. My father for wisdom and patience. Len Evans for persistence, generosity and worldliness. Peter Wall for incisive thinking and philosophy. I mustn’t forget Pierre Beuchet of DIVA fame and the inimitable rogue Kit Stevens MW ! Other people around me of recent times, James Wark, Ross Spence, Richard Riddiford, Brian Walsh , Andrew Pirie, Ross Brown….all I count as great friends and mentors for different reasons. All have made me become whatever I am in the wine sense today . I take inspiration from others who cross over my life such Piero Antinori a visionary,a gentleman and a success ; Aubert de Villaine of the Domaine de la Romanee-Conti; Christian Pol Roger, a magnificent, brilliant man; Alex Dale in the Cape—just humble people who work hard and hold the values of their company high up in everything they do. Negociants is part of your business. It’s generally regarded to have the best Pinot list in the country. How did that come about ? There’s a few missing ! Peter James hard at work with Giesen Bros in the mid 90’s…. 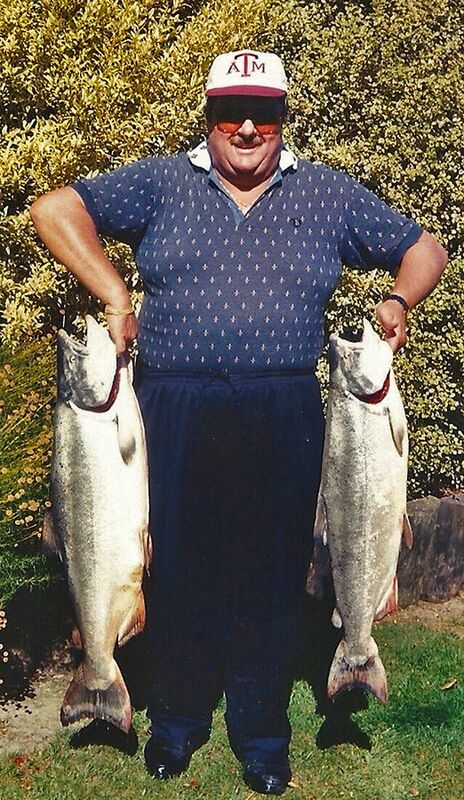 Fishing in the Rakaia River, with two very unlucky Salmon. Peter had just visited Martinborough Vineyard, Ata Rangi, Dry River, Palliser Estate and Fromm, who all agreed to join Negociants. It’s satisfying to hear that because when we started Negociants it was only because others had stopped focusing on fine wine as a category and I was really keen about serious imported winemakers. I knew I had a team at Samuel Smiths who at that time in their evolution, were not really capable of articulating a fine wine story on someone else’s behalf. I was nurturing them to tell the story through a Yalumba lens but not necessarily for a serious Chablis, Champagne or Burgundy lens. That opportunity arose when I saw the shift of focus away from imports by the likes of IH Baker Co, Doug Lamb,Tucker-Seabrook, Harry Brown and Crittendens.., I thought we could piggy back Negs onto what we were already doing. Larry McKenna credited Negociants Australia for bringing New Zealand Pinots to prominence…..particularly Peter James…. Peter James was working for us at Smiths and I switched him over to Negociants when we started; it was a new challenge. I said, ‘Jamesy, you’re going to run sales and imports for Negociants Australia and help me put together a portfolio thats got sizzle and momentum. I came across New Zealand Pinots with Brenton Fry, just getting around drinking and thinking and thought, ‘we’ve got to be an early mover on the high end of what New Zealand is doing in Pinot’. 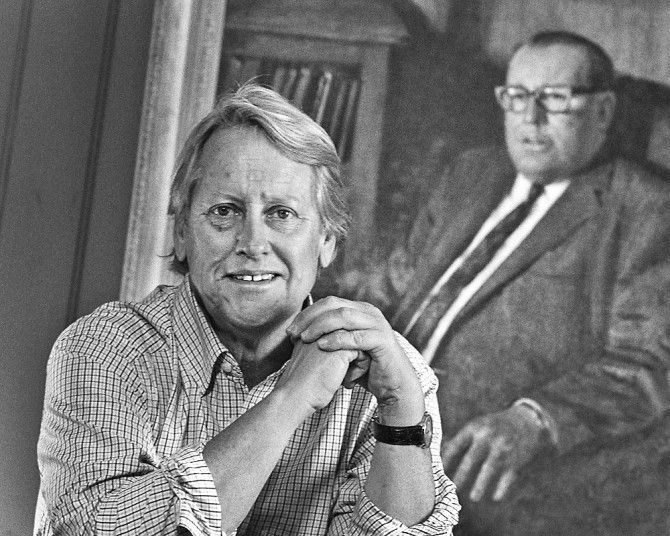 Larry McKenna : Photo Milton © Wordley. Martinborough was our first port of call. They were doing it well … Martinborough Vineyards, Dry River, Ata Rangi, Palliser all became part of the portfolio.The success of Negociants is also fraternal; we enjoy the game, we like family businesses, just about everybody we deal with in Sam Smiths and Negociants is an independent or family owned business. When I’m trying to develop my own knowledge about sparkling wine or pinot, I’m not expecting the likes of Pol, Guigal, DRC or Dujac to give me all their secrets but its fraternal. Anything else you would like to add….? It’s hellishly competitive in a commercial sense, but the Antinoris, Dujacs, Faiveleys, of the world and the Pol Rogers, Browns, Tyrells, Felton Roads, – they are all inspirations. You bring that back into this little village of Angaston and to Yalumba with influences that are both tangible and intangible; this formulates what you practice at the helm of a winery with a global outlook—it’s about sustaining excellence and having some fun.